Now these trendlines all need to break in trading hours to look immediately bearish, and it looks as though equities may gap down through them, which really would look bearish. We'll have to wait for the open to know however. 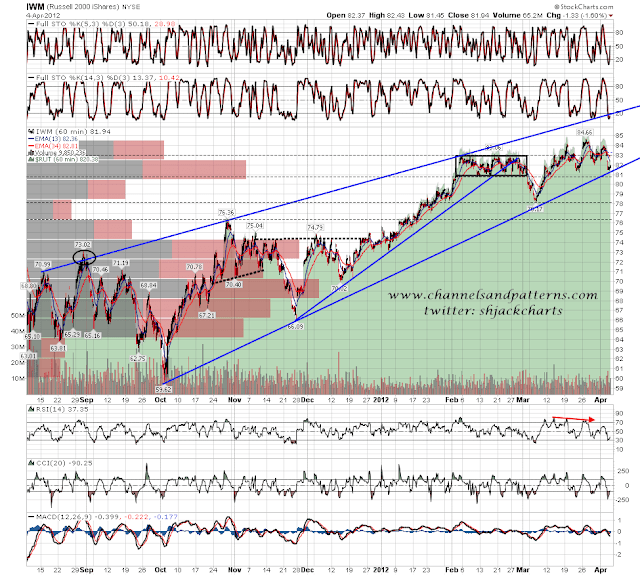 On ES the rising support trendline from Dec 19 broke down yesterday, which was bearish, but the trendline was unconfirmed by a third touch. 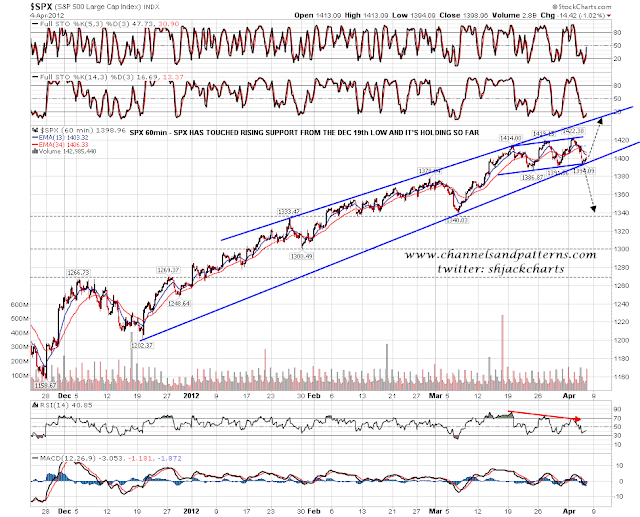 The break was then retested at yesterday's close and that confirms the trendline and looks distinctly bearish. I'll be watching the support trendlines on SPX, NDX and RUT at the open today, and if they break down I'll be leaning very bearish. 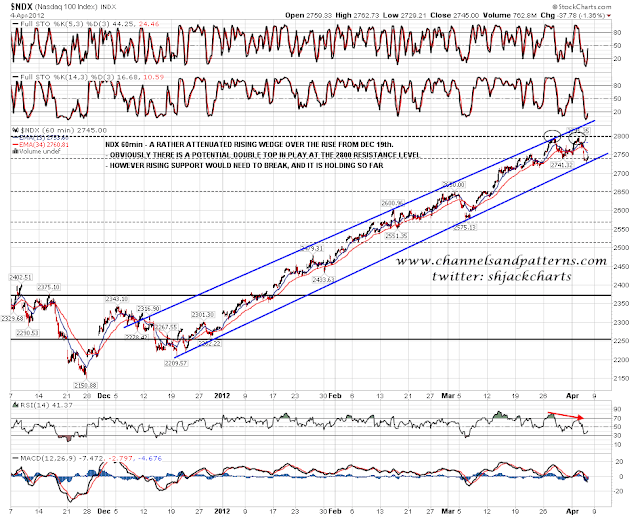 The obvious targets on SPX are in the 1370 and 1340 areas. If SPX can reach 1340, and reverses there, that would complete the neckline on a potential H&S indicating into the 1260 area. 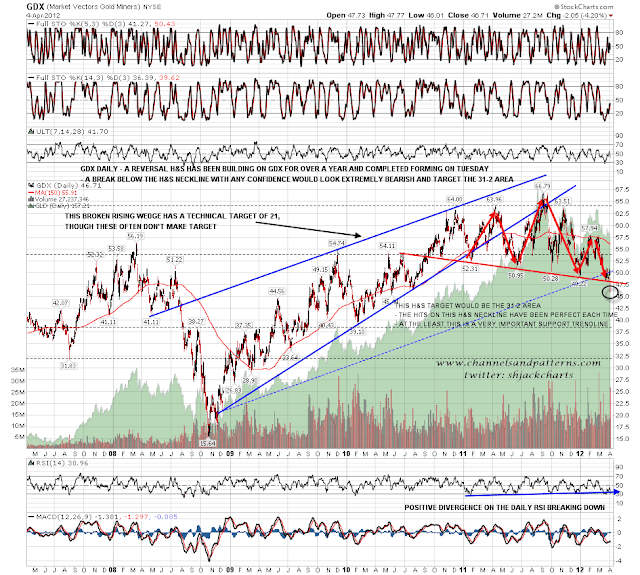 If that were to form we would then see a multi-week bounce into the 1370-90 area before falling further.